Triyam Nirmal Kunj Enclave in Sambharpur, Kanpur by Triyam Realtech is a residential project. The project offers Floor with perfect combination of contemporary architecture and features to provide comfortable living. 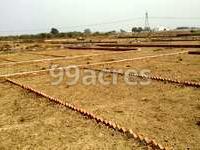 The Floor are of the following configurations: 3, 4 and 5 BHK. The size of the Floor is from 2250 sq.ft.  to 9000 sq.ft. Triyam Nirmal Kunj Enclave price ranges from Rs. 5.40 Lacs to Rs. 1.08 Cr. Triyam Nirmal Kunj Enclave offers facilities such as 24/7 water supply, Club house, Gymnasium, Inter-com and Lift.It also offers Car parking. It is a ready to move project with possession offered in May 2017. 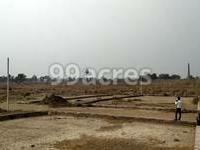 The project is spread over a total area of 2.65 acres of land. The real estate market of Kanpur is on a positive trajectory. This beautiful city appeals to homebuyerÃ¢â‚¬â„¢s interest and hence witnesses demands. To meet these, the developers in the city are coming up with new developments. Proximity from commercial hubs and easy connectivity are two major factors that add to the positivity of the realty market. Presence of excellent healthcare facilities and good educational institutions also add to this positivity. What is the location of Triyam Nirmal Kunj Enclave?The location of the project is Sambharpur, Kanpur. 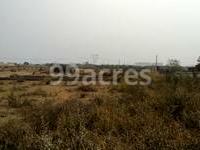 How much is the actual area of Triyam Nirmal Kunj Enclave?The area of the project is 2.65 Acres. Does Triyam Nirmal Kunj Enclave have badminton court? The project doesn't have a badminton court. Does Triyam Nirmal Kunj Enclave have lawn tennis? The project doesn't have lawn tennis. Is Triyam Nirmal Kunj Enclave vastu compatible? The project is not compatible with Vastu.